Hoppers is the Sri Lankan name for Appams. They are very similar, differing only (and slightly) in regional spices and taste. 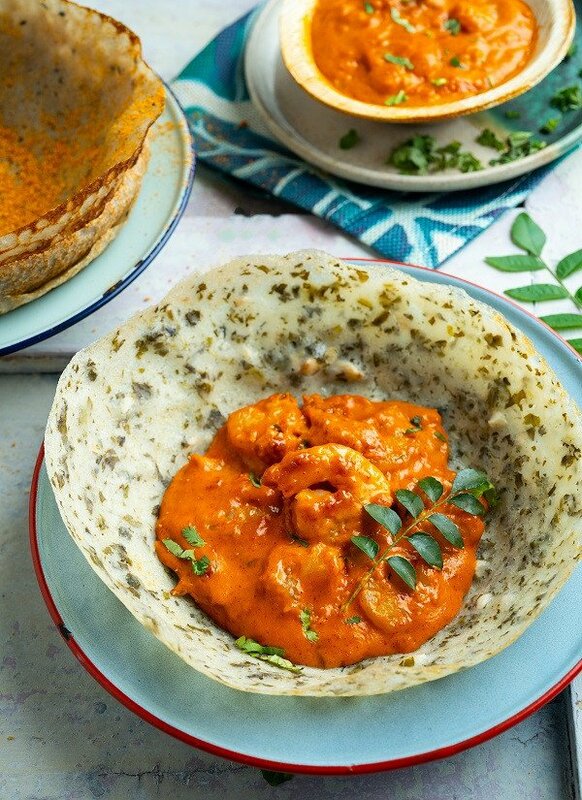 Founders Sahil and Jai Wadhwa brought the two together – Hop from Hoppers, and Umm (actually ‘am’ from Appam) but, added the ‘umm’ to denote the deliciousness of the two when put together. Hence, it became Hoppumm! Hoppumm is a small eatery in a quiet Bandra lane. They have an air-conditioned section with an open kitchen, and an outdoor seating area as well. The walls have been painted with massive palm leaf prints, which will definitely leave you craving for more! You can call for four variants: traditional, wheat-basted, spinach-based and string hoppers (idiyappam). Another famous preparation out here is Ceylon Roast — a traditional Sri Lankan blend of spices, which comes in the form of chicken curry. The Mutton Pepper Fry is another spicy preparation which one should try if your tolerance towards spice is on the higher side. 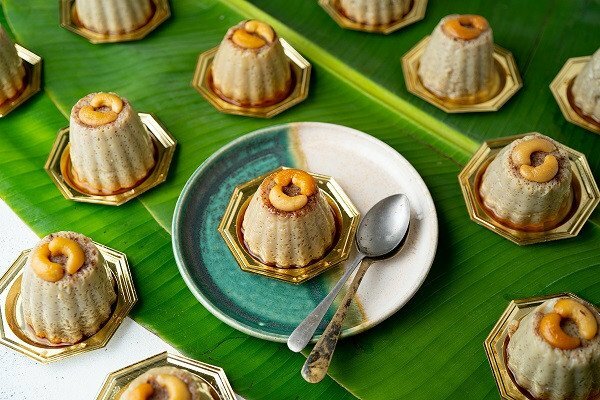 On the dessert section, Hoppumm offers two variants on the menu: the Vathalappam and the Coconut Milk and Jaggery Hopper. The Vathalappam is a Sri Lankan dessert which is somewhat like a pudding but with coconut milk. If you want to taste the cuisine from the South you should definitely consider visiting Hoppumm. Play a quiz and get a 50% discount at this unique eatery in Andheri!